Netflix has revealed the official Maniac trailer, showing off their upcoming 10-episode dark comedy series Maniac, which stars Emma Stone (La La Land), Jonah Hill (21 Jump Street) and Justin Theroux (The Leftovers). Netflix also released several new images from the upcoming new series, which features a series of fantasy world scenarios that Hill’s and Stone’s characters experience throughout the course of an experimental drug trial. Maniac is based on the 2014 Norwegian series and is largely set in the fantasy worlds of the characters that Hill and Stone play. Justin Theroux will play the role of James Mantleray. There is no official word on who Mantleray is, though the site reports that he’s believed to be playing an alcoholic doctor in the mad scientist vein. Emmy-winner Cary Joji Fukunaga (Beasts of No Nation, True Detective) directed all of the episodes, and the show was written by Patrick Somerville. 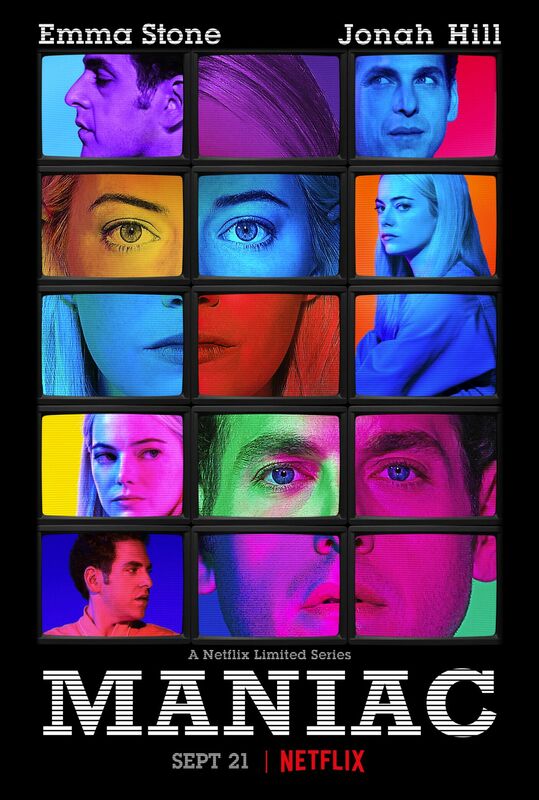 Maniac is executive produced by Stone, Hill and Fukunaga with Michael Sugar and Doug Wald from Anonymous Content, Kruke Kristiansen and Anne Kolbjornsen, and Espen PA Lervaag and Kjetil Indegard. Ashley Zalta serves as co-executive producer. The series debuts on Netflix September 21.